You would be forgiven for struggling to differentiate between Audi’s 4x4 SUV line-up. 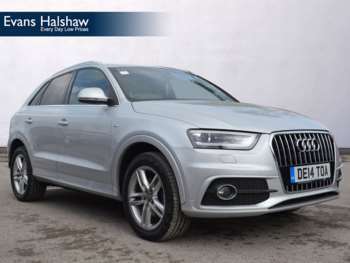 It has the Q7, Q5 and, this car, the Q3. All of which are big SUVs with some off-road capabilities – emphasis on ‘some’. And they’re all much of a muchness. They are similar in technical capabilities, name and, above all, looks. 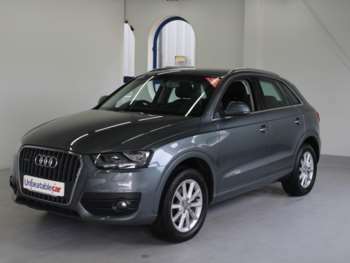 This one, however, is the Audi Q3, and it’s classed as the baby SUV. 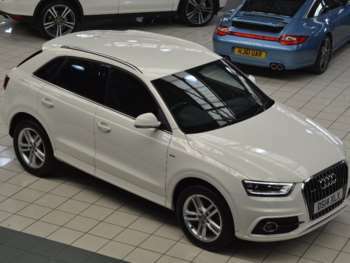 It’s one of the new range of Audis and is set to take on the Land Rover Freelander in the small SUV market. Audi has always had the big Audi Q7 to try and take on the Range Rover, but now they finally have a line-up of 4x4s to really tackle the competition – even if they all do look alike. Audi’s are not cheap, but you are gifted with quite a lot of bang for your buck. Technical specifications are always fantastic, as are the engine choices. 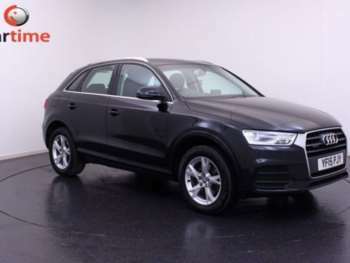 Prices for new Q3s start at £25,000 and go all the way up to the dizzy heights of £32,000, and with it being such a new car those prices are likely to stay pretty high for a while yet. 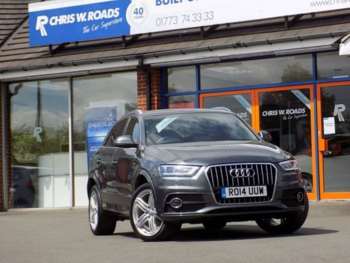 The diesel Q3 is probably the way to go, as it provides superb torque figures with half-respectable MPG figures and, in today’s financial climate, saving money is essential! 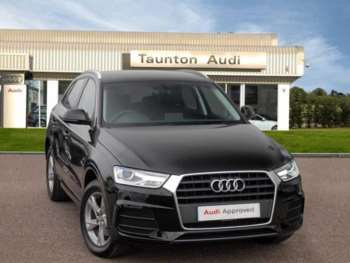 As said, new Audi Q3s are upwards of £25K, but used car prices are coming down – albeit at a slow rate – so budget around £18-20K for a good one. Thankfully, modern Audis are very reliable, so it will likely be money well spent. 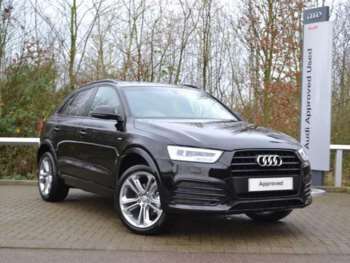 With the Audi Q3 being such a new car, the warranties should still be in check. Other than the major stuff, just make sure those big alloys are all in good condition and that the interior hasn’t been destroyed by children or dogs. Again, Audi’s warranty should sort any parts issues you may have, but if not, just remember that it is a big 4x4 Audi and that prices probably won’t be ‘cheap as chips’. If anything goes wrong with the Quattro system, you’re looking at a hefty bill outside of the warranty. If you take how the Audi Q5 drives and put it in a super-hot wash cycle, you’ll end up with the Q3. 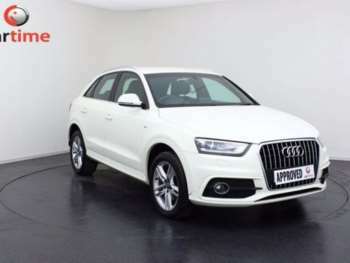 It is fair to say that the used Audi Q3 is just a shrunk down version of the Q5 – just like the Audi Q5 is a smaller version of the Audi Q7. 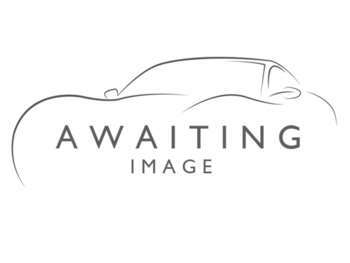 So it does make you wonder if Audi paid attention to the Q3’s technical abilities when designing it. Thankfully, they did, and the Q3 has become an enjoyable driving experience. 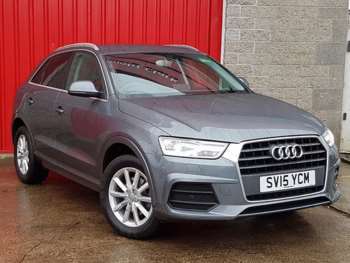 Sure, it’s no sports car, but with a big boot, decent room inside and an enjoyable driving position, the Q3 is a car that should please everyone from Dad to the Step-Mum. 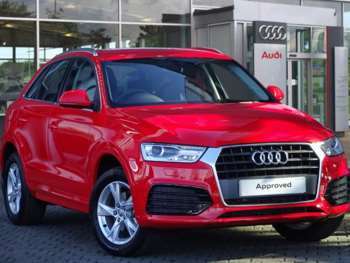 0-62mph times are respectable, so you don’t need to worry about BMW drivers embarrassing you at the lights – not that we condone 4x4 racing – and the top speed of a Q3 ranges from 122mph to a very impressive 143mph for the 2.0-litre TFSI S-Line model.